✔️RELEASE YOUR INNER WELL-BEING! The ELEGANT and SIMPLISTIC look is perfect for everyday wear and you will able to add touch of color and inner calm at the same time, knowing you have your favorite essential oil bracelet with you. 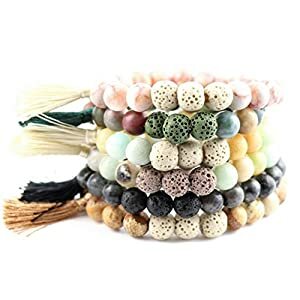 ✔️ YOUR CAPTIVATING GIFT – Only ONE OF A KIND Essential Oil Triple Lava Rock Stone + Tassel + Semiprecious Beads Bracelets on Amazon. ✔️PICK SIZE: Small – Medium or Medium -Large. If your wrist is 7″ and up pick Medium-Large or for more loose fit or Small- Medium for 5.8″-6.9″ wrist size.  HAVE SOMEONE FAR AWAY FROM YOU? 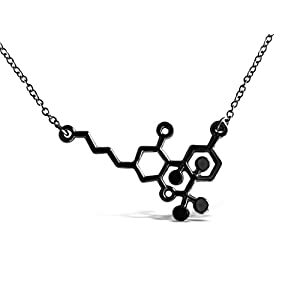 Best friend, partner, kids in college or you need an appreciation gift? Beautifully packed in a premium jewelry GIFT BOX ready to send as a gift same day with a prime shipping. Connect with dear people in your life knowing that you think of each other at the same time. Perfect as a long distance bracelets, couple bracelets, bff bracelets, team and a personal bracelets.